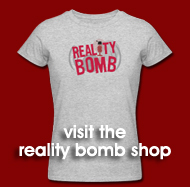 Reality Bomb is coming to New York City! We’ll be in the Big Apple with a live show on Sunday, June 21 at 2 pm at the Stone Creek Bar and Lounge ) 140 E 27th St, New York. On the twenty-third edition of Reality Bomb, we have a feature length documentary about the early days of Doctor Who in Canada in the 1970s, the educational segments on TVOntario featuring Dr. Jim Dator and science fiction author Judith Merrill, and the first generation of Doctor Who fans in Canada and how they organized themselves. This documentary features conversations with Ed Conroy of the YouTube channel Retrontario and one of the first fans in Canada, Dean Shewring. Also in this episode, Graeme Burk is talking about the lasting legacy of UNIT with Peter McAlpine and Patrick Troughton’s Doctor finally comes to the Gallery of the Underrated when Jason Miller brings The Krotons. Plus, a new feature, Doctor Who From A to Z, has NPR Books Editor Petra Mayer pondering about a word with the letter E and its importance to Doctor Who… and we have a murder mystery on a Doctor Who podcast! Bonus content: the raw TVOntario footage in our documentary can be found here, here and here!